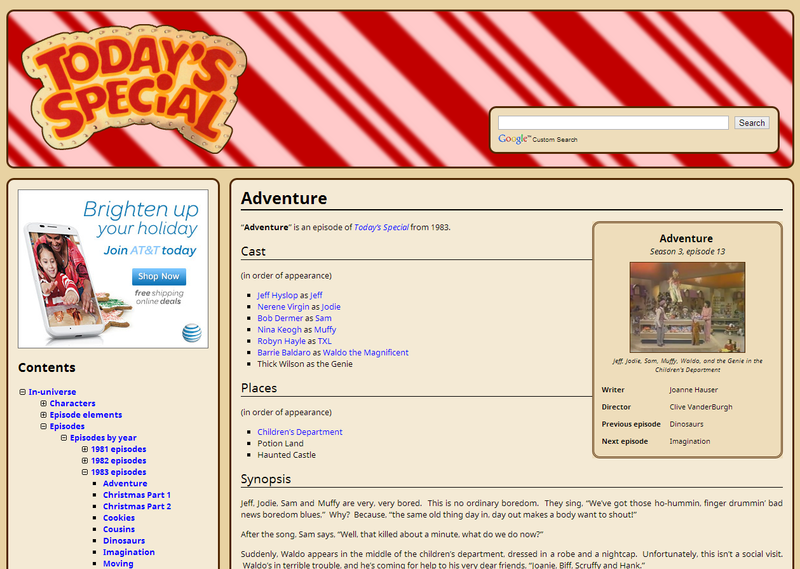 The Today’s Special site, on the other hand, is getting the promised overhaul. And like all major projects ought to, it has a codename. After all, Schumin Web’s conversion to WordPress was codenamed “Falcon”, after a JMU student web server. For this project, it has the name “Project TXL”. 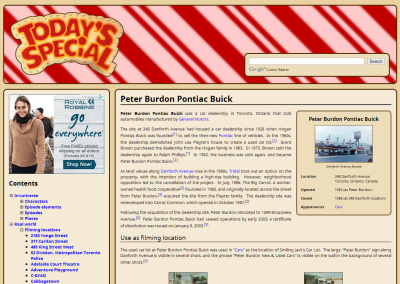 I chose that because the site is being redesigned to be a repository of information for all things Today’s Special. And what would be the logical place for such an information store? A TXL Series 4 computer, of course. Thus the name. Title sequence page, representative of an episode element article. Page for the episode “Adventure”, representative of an article about an episode. 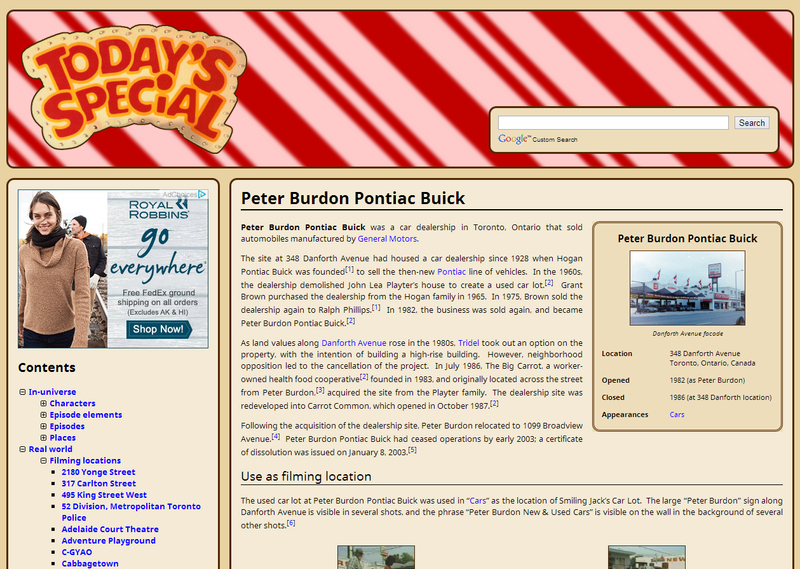 Page for Peter Burdon Pontiac Buick, known on Today’s Special as Smiling Jack’s, which is representative of an article about a filming location. Category page for dancers, listing all articles about dancers on the show. 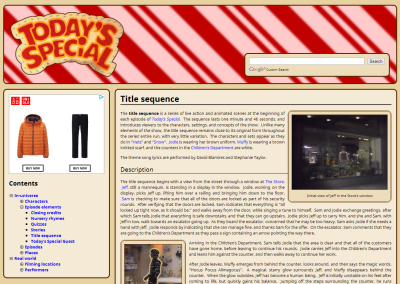 As in the past, the site is designed to resemble the Children’s Department. However, unlike before, where the header design was intended to literally look like the canopy in the post-“Changes” Children’s Department, the new design does this more in spirit. Thus there is only one Today’s Special sign, and rather than sitting over the stripes like before, the sign now sits inside a larger field of stripes. In addition, the design is now consistent across the whole site, as no pages swap out the stripes for the purple of the pre-“Changes” Children’s Department. The sidebar contains a collapsing category menu, that, by default, opens to the category for the article that the person is reading. In the spirit of its being a knowledge base, the Google search has been moved to the top header, making it easier to search the site (or at least find it). The styling in the articles and the categories is a throwback to this project’s original form, which used MediaWiki as the content engine. Those of you who are familiar with Wikipedia may recognize some of this styling. I think it works well enough. Only thing I couldn’t figure out how to work in was a link to the Today’s Special Facebook page. If you can think of a good place to put that, please let me know in the comments. While I did decide to drop the wiki format due to my unwillingness to deal with the drama and vandalism that comes with a wiki (read: I don’t want to have to check the site every day to see if some yo-yo has written gratiutous profanity on the pages), as well as the difficulty of working with MediaWiki as a CMS, I have retained one element of interactivity: commenting. Every article will be outfitted with a comments section at the bottom, most likely powered by Disqus like on Schumin Web, where users can comment on the articles and discuss. 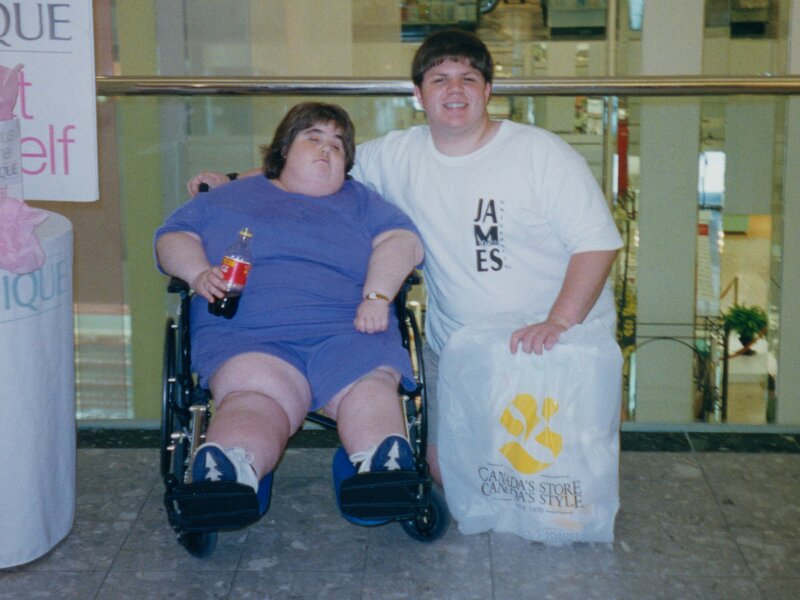 Thus I still want to bring the entire Today’s Special fan community together, but in a more controlled manner. I hope it takes off. Of course, now that the design is more or less done, I have to create what people are really coming for: content. Yes, I’m going to have to write stuff. After all, a pretty design will only get you so far. There has to be good information to hold it all up. No one wants to visit an empty website, after all. So there you have it, I suppose. There are plans, and they are in motion.